Co-investment initiative. Juliana has an extensive and diverse experience in market research and grant as well as venture capital funding. She has a Bachelors of Science degree in Economics from the Missouri University Science and Technology – Rolla. Juliana started as an analyst under the developmental grant (CIP50) team and in early 2009, she headed the developmental grant (CIP Catalyst) evaluation team. Then in 2010, she moved to head the commercialisation grant (CIP500) evaluation team and eventually the entire CIP500 unit. With the evolution of Cradle and the initiation of its equity play, she moved to head the equity team. Juliana continues to be committed in building and developing strong growth potential start-ups in the country specifically in early stage through her work in Cradle. She played a major role as part of the working committee in the setting up of the various products in Cradle and the development of processes, such as the CIP Catalyst (developmental funding), CIP500 (seed funding) as well as the Co-investment and DEQ800 initiatives in 2014 and 2016 respectively. 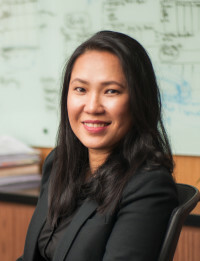 Prior to joining Cradle, Juliana started her career as a market research executive in a technology-funding agency, which provides both grant and venture capital funding, where her industry and market research projects varied from consumer product and biotechnology to other high technology industries. This has given her a strong background in spotting market trends, analysing gaps in the market and identifying market needs. After two years in the market research division and another year in the CEO’s office, Juliana joined the investment unit in the same organisation as an analyst where she acquired experience in venture capital funding. With her career experience, Juliana understands the needs of the market and the issues in the funding ecosystem from prototype development in the pre-seed stage, the seed stage, up to the later stage of fund-raising. Juliana is very passionate about helping entrepreneurs and start-ups. The knowledge and know-how she gained prior to joining Cradle and also at Cradle has been invaluable in enabling her to assist Cradle recipients by advising them and sharing information about the market and funding criteria.